One of our customers (a helicopter manufacturing company), had four quenching machines that needed essential maintenance and repair. As part of this process 10,000 litres of good quenching oil needed to be removed from the tanks. Unfortunately our customer was not able to store the quenching oil onsite while the machine repair and maintenance was being carried out. 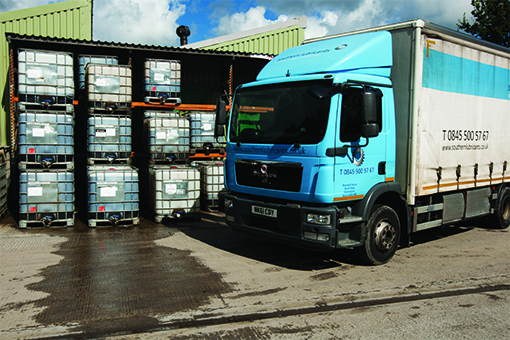 Rather than waste good quenching oil, Southern Lubricants volunteered to pump out the quench oil tanks into empty IBCs and store it at our warehouse. We also filtered the oil to remove the deposits that form during the quenching process. Once the maintenance and machine repairs was complete, we delivered the oil back to our customer and pumped it into the tanks. If we had not stored and filtered the quenching oil, this job would have cost our customer £81,000 to replace the 10,000 litres of quenching oil. The result? A very happy customer who appreciated the additional levels of service that we are able to provide.